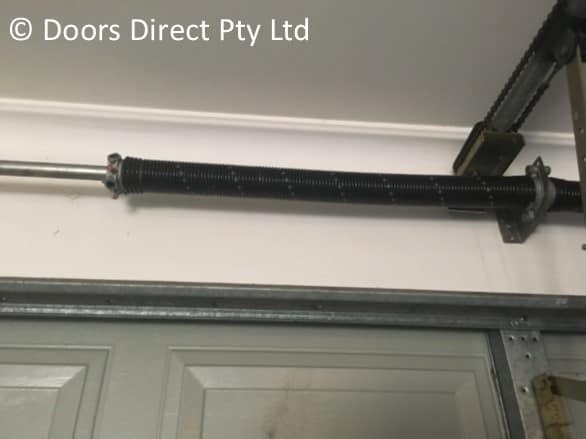 Doors Direct is a dedicated team of specialists who are able to repair or service any malfunctioning garage door springs. Broken garage door springs are a common problem in sectional/panel lift garage doors. This generally happens due to wear and tear after the door has completed a certain amount of cycles. Once the garage door spring is broken, the door becomes very heavy to lift and poses a safety risk. 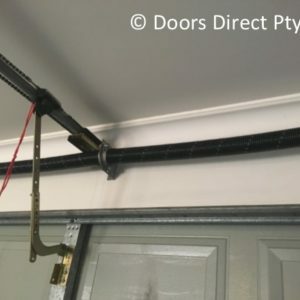 It is not recommended to use the door manually or via remote/motor when the garage door spring is broken as this can cause the door to suddenly come crashing down. It is best to call our garage door repair specialists when you first notice a problem with the garage door not operating as usual. 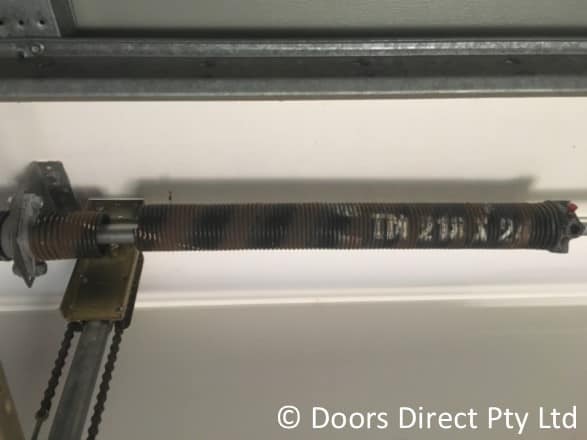 Doors Direct have standard springs in stock and we can custom make any size springs to suit your garage door to get you up and running as soon as possible. 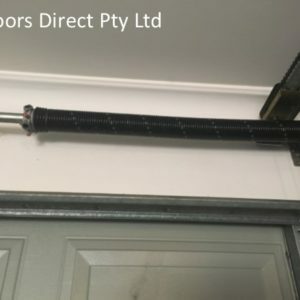 We always replace both springs on the door as the other spring generally needs replacing not long after the first one breaks. This way you’ll not only get a fully operational garage door again, but you’ll also have the best value for money. Once you have your garage door fixed, it’s important to make sure you undertake regular servicing and maintenance in order to avoid further and more expensive problems with the door. 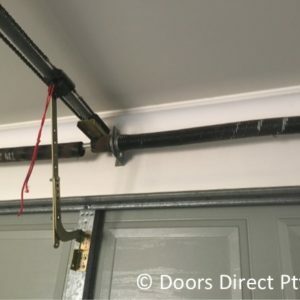 Some of the most common problems people face with their garage doors can be avoided altogether with routine servicing. 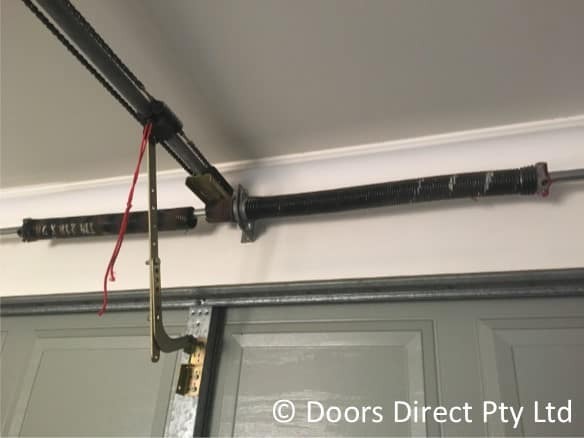 We also recommend garage door owners to undertake a monthly door spring balance test. 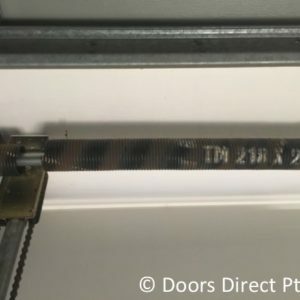 To do this inspection, first, disconnect the automated opening system and manually lift the door. Note if there is any resistance, as this could be indicative of a problem with the spring balance. Ensure the door opens without issues and is able to stay open when fully lifted. Finally, manually close the door, and note that it should fall lightly, not with a loud thud. This test should also be held in conjunction with a monthly visual inspection. While inside the garage with the door closed, simply inspect the tracks, rollers, hinges, springs, cables and mounting hardware to check for any signs of wear and tear. If there are any signs of damage or wear and tear, do not try to rectify the problem yourself if you are not confident with your skills. This could lead to further issues with the garage door and could pose safety problems for the people living in the house. Instead, call a Doors Direct specialist to make sure your garage door is repaired to a high standard and is fully functional and operational. If you’ve noticed your garage door isn’t opening as well as it used to, there could be a problem with the spring. 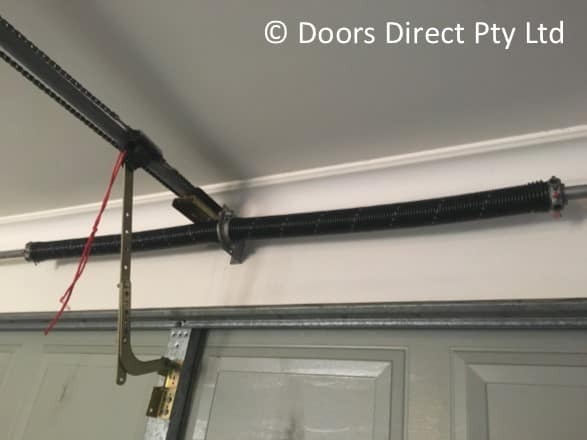 Avoid having further problems and call the Doors Direct team today on 07 3161 5963, or email us at info@doorsdirect.com.au with your enquiry. We are ready to help with any problems you have with your garage door.